My childhood was fashioned by two directly opposing forces. 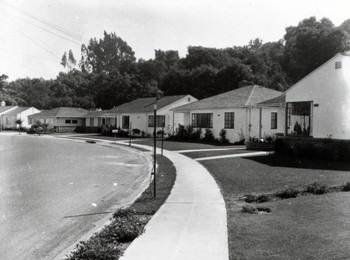 On one side was the oppressive conformity of the fifties in suburbia. McCarthy’s witch-hunts were major events in my hometown of Hayward, California, and their aftermath lived on into the sixties. Even as children we knew Commies were to be chased out of town, and anything foreign was likely to be communist-tainted. Every kid wanted a Davy Crockett coonskin cap and to be a man who stood on his own two feet, not waiting for government handouts like those loafers did. The other force came from outside this closed world. My father’s entire family in the USA and in Denmark had remained close-knit over generations. Continuous contact had been interrupted only during the war years. My immediate society taught me that Socialist was another word for Commie and all Communists wanted to bore us through with their bayonets, starting with the babies. At the same time, half my family lived in a country with a socialist government and not a single one of them had ever expressed a craving for a bayonet, let alone a desire to perforate anyone. In school, our teachers would tell us how everyone in the rest of the world was envious of our good fortune. But in the letters from my Danish family I read accounts of pleasurable events, holidays in Italy, and family celebrations – no word of envy, no accusations that we were well out of it, safe in America, while they had to make the best of their dismal life in Denmark. Even in the early years after the war, no-one in Denmark ever complained of serious want or beseeched us for financial support. Where other kids swallowed the "God’s Own Country" dogma whole, I longed to escape the stifling air of self-congratulation. I needed to escape the morass of suburbia and seek more open-minded company. High-school graduation in 1960 was like freedom from chains. I could go to college, which meant getting out of Hayward, and live with people who had a positive attitude toward learning. I spent my first two years at San Jose State. It was my parent’s choice. I lived in a boarding-house about eight blocks from campus, with a muscular landlady who watched over our virtues. But, after two years, I had had more than enough of this extended childhood. I moved to San Francisco, where I could finally live on my own. Technically, I was now a college drop-out. One thing was clear: any further studies would have to be paid out of my own pocket. Once I learned the tricks, I found I could live at a fraction of the cost of a ‘straight’ life style and save much of the money I earned packing luggage at the Greyhound depot. I re-matriculated for the Spring Semester 1963, this time at San Francisco State College, confident I could pull it off with no further financial support from home. As the semester began, however, I was living again in Hayward, and commuting in a car pool. One day at school I overheard Loren Means mention there were vacancies where he was living and wondered if anyone might be interested. ‘Yeah, I am,’ I jumped in, as if Loren had been talking expressly to me. I didn’t know what it was or where it was, but, judging from Loren, I guessed the windows weren’t hung with lace curtains. I’d be free at last from suburbia. 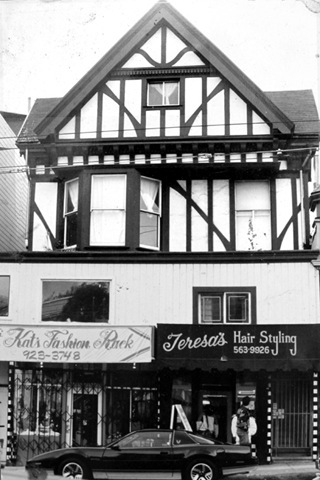 From now on our mutual home was a boarding house in the Fillmore District – one building down from the south-west corner of Divisadero and McAllister Street. The ground floor of the building, once a grocery store, was boarded up. A few unkempt old men lived on the second floor. Above them was our domain: four rooms on both sides of a full-length corridor. At the end of the corridor a door led to an unusable fire escape. Good thing we never had a fire. The landlord lived on the second floor, but I rarely saw him. He was relatively young, though a generation older than we were, crew-cut, heavy-set, a guy you wouldn’t want to get into an argument with. Rumor – I think of his own making – had it that he was known and feared throughout the Fillmore and since we stood under his protection, we would not be harassed by militant residents with a grudge against whites. My experience was that blacks had a grudge against whites who had a grudge against blacks. We were tolerated in the neighborhood because we were demonstrably not of that sort. I would go into coffee shops in the Fillmore at weird hours of the night, and at 2:00 every Saturday morning, after an evening playing bagpipe at the Edinburgh Castle, my main source of income at the time –, I would stroll home through the middle of the Fillmore, still wearing my kilt. I was never assaulted, and I was accosted only once – by a white, very insistent homosexual who thought my legs were just too sweet. But Loren Means remembers the neighborhood differently. Loren: The thing that was hard for us to understand was the hostility of our black neighbors. We held it obvious that we weren’t prejudiced, or we wouldn’t be there. The people on the street who shouted at us to get out of their neighborhood obviously didn’t see it that way. Once I was walking down McAllister Street with a group of guys, including Buck. We ran into a group of very young black kids. They started shouting at us, and suddenly one of them hit Buck in the face, just below his left eye. Just then a police car appeared on the street next to us, and escorted us to the nearest bus stop. We got on a bus, and Buck sat there bleeding. I said “Buck, remind me to take you with me wherever I go. You’re the perfect target, the only guy I know smaller than me.” He didn’t appreciate that. One weekend Dave Johnson showed up at 857 with his girlfriend, Kit Brahtin. Kit was from Santa Barbara, and was attending Stanford on a National Merit Scholarship, having achieved the highest scores possible on her SAT tests. Dave passed out, and Kit and I spent the evening together. Shortly after that, Kit broke up with Dave and she and I started commuting on the Greyhound bus to see each other. To continue to Part 5, click here. This entry was posted in 1959-1964. Freaks and Baby Beatniks and tagged baby beatniks, sf state by ponderpig. Bookmark the permalink. Quite a collection of nostalgic pictures. My husband is glad someone put them together. Both he and I are SF natives.